This week, a replay from a post a few years ago. Mother’s Day. Love it. Hate it. I’ve done both. But one thing remains–we are all in it together. My radio station is at it again. Every time I’m in the car, I hear one more story lately of a “supermom.” It’s their lead-up to Mother’s Day. People (and by people I mean usually offspring of the supermom) nominate a woman as a supermom, and the radio host reads her story. It’s all very touching and mostly true, I’m sure. I do get the idea. We want to honor our moms, and that’s great. Last year, the station outdid the simple story and hosted a parade honoring the one woman chosen as the superest of supermoms. Yes, a PARADE down her street and in her town. Listening to that, I wondered, is there anything I would be more uncomfortable with than a parade honoring me? Well, I haven’t yet had my first colonoscopy. Maybe that. 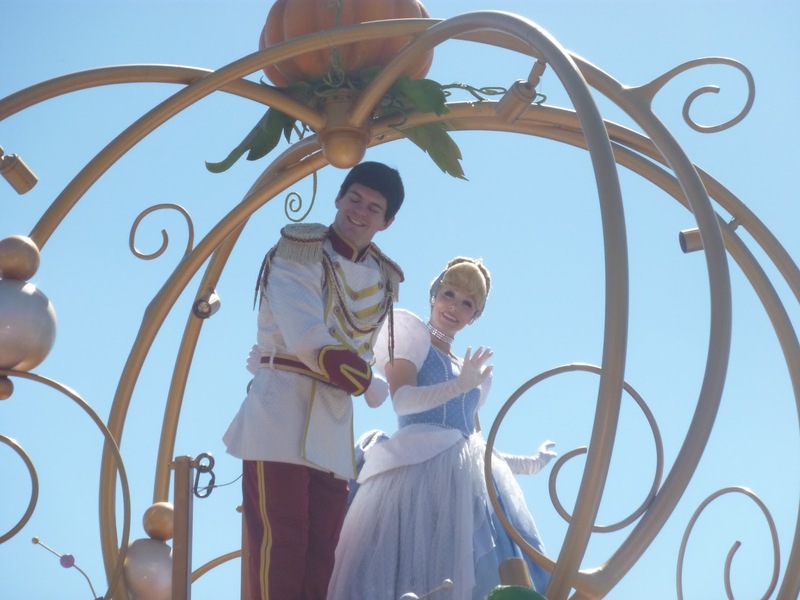 But that, at least, comes with some measure of privacy a parade does not. Parade Host: Is there anyone here present who knows any lawful reason why Jill Richardson should not be considered for the title of Supermom? If so, speak now, or forever hold your peace. Child #1—There was that forcing us to eat mushy spaghetti incident. Chid #2—And forgetting to pick me up from school for two hours. Child #3—Missing my first grade Mother’s Day program comes to mind. The first runner up would be riding in that convertible in no time, waving at her people. Point being, instead of feeling honored when we hear these contests, a lot of us just feel more unworthy. More pressure to measure up. More belief that everyone else is doing it better. Less assurance that we will ever succeed at this mom thing. “Supermom” sends the message that parenting is a competition. It’s not enough to be a mom; you’ve got to put forth the the effort to get to that gold medal stand. Can I please interject with a question—Why? Why the race to be better than other women? Why the need to prove we’ve got this under control? Why the certainty that if our kids don’t sport organic cotton playclothes with matching fedoras we’ll be motherhood epic fails? Why do we define our worth by whether or not anyone ever nominates us for supermom? This just in: A supermom is not a woman who has perfect children. Her worth is not determined by how many awards her kid wins, what college her son gets into, how many activities her daughter participates in, the cleanliness or size of her house, or whether she volunteers for the homeless shelter, charity fashion show, and blood drive. A supermom is a woman who shows up, every day, whether she feels like it or not, and loves and teaches her kids for another day. A supermom shows her children that greatness lies in being there for the long haul and loving hardest when the will is the weakest. Supermoms make mistakes, big ones, and ask for forgiveness. Sometimes, it gets downright messy, but you keep crawling through the mud anyway, because that’s what you do. Supermoms show up. Every day. Supermoms aren’t sure if they can love any more for one minute at the end of the day, but then they love anyway. Supermoms don’t know if they’re doing anything right, but they keep doing what needs to be done. Supermoms wipe up the vomit and wipe away the tears and wipe off the insecurity, whether they’re wearing yoga pants or a power suit, whether it’s convenient or not. Supermoms find one more spot on the shelf for a handmade creation, count the days until those creations stop showing up, then feel guilty for rushing childhood. Supermoms know that tears and smiles, laughter and sobs, are interlocked in ways we can’t understand but instinctively know are two sides of the same thing. Supermoms feel like throwing it in and hitting the beach in Antigua, but then they hit the homework help and the stovetop and the after-work-school witching hour. One more time. There is no medal stand for mamas. Supermoms don’t need or get parades, because they understand that this is not a competition. More like a long voyage into uncharted territory where we know it’s in everyone’s best interest to keep afloat until we get there together. Women who start taking shots at other women will soon find they’ve put cannon holes through the sides of their own ship. Women who join hands and have one another’s backs in this, their toughest adventure yet, get through the only way we can–together. You don’t need to be a supermom. You just need to show up. One more day, one more load of laundry, one more argument mediated. One more moment to hold a hand that’s growing too fast and teach it kindness, and multiplication. That’s what you do. And you can do it. Happy Mother’s Day. 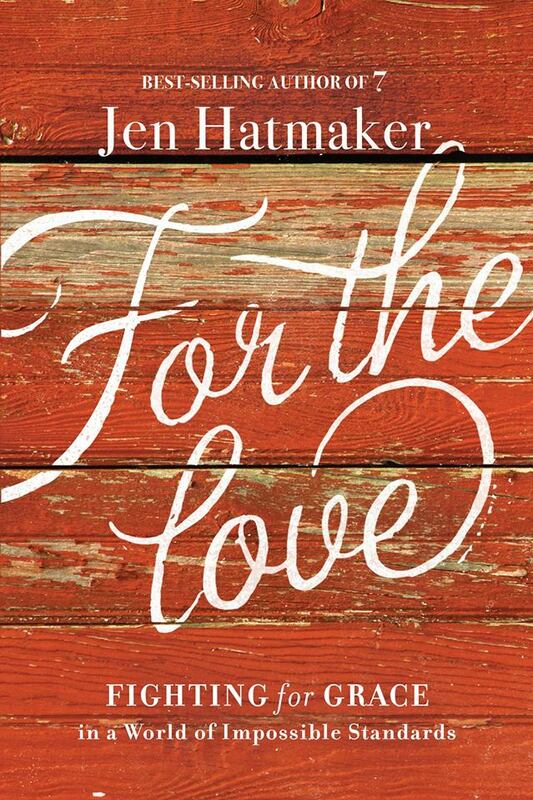 I have been blessed beyond expectations for the last several months to be a part o the launch team for Jen Hatmaker’s new book, For the Love(available for preorder now on Amazon). Beyond expectation, because beside the opportunity to read a fantastic book before anyone else (I am slightly competitive? ), the community that has formed among the launch team members has been phenomenal. Advice, weeping with those who weep, laughter, and discussions about online dating have been just a few of the things discussed. You may not want to know. We hang it all out there, and it feels like community. Which is kind of what this book is all about. 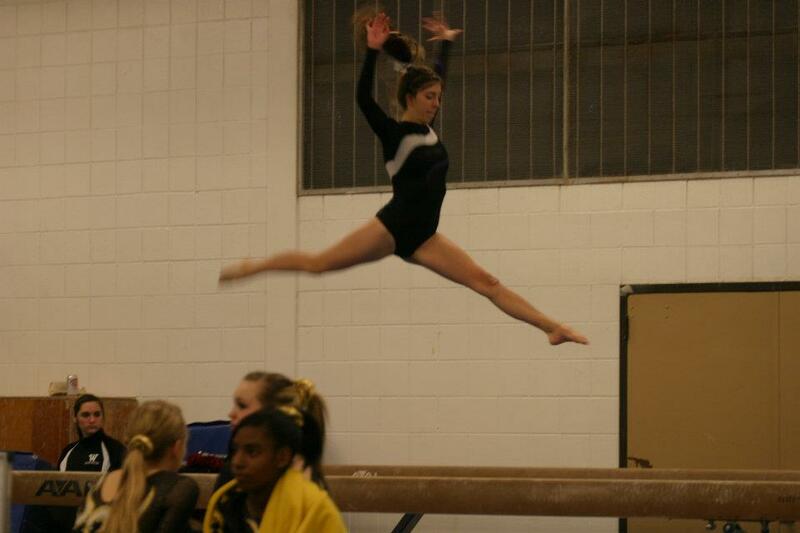 Because balance beams are for gymnasts, not parents. Raising kids. In a Pinterest world. Can I get an amen on that dilemma? The subtitle of the book says it all here: Fighting for Grace in a World of Impossible Standards. There is a reason my talk “The Enemy of Good Enough” is popular among MOPS groups. (Though not as popular as the anger management for moms one. That’s a ringer anywhere.) We all feel “not good enough.” We all doubt ourselves. No matter how many birthday parties we throw, how many classrooms we volunteer in, how many times we read Good Night Moon together (and it is a lot of times), we still feel there is more we should be doing to ensure our kids will grow up safe, sane, and with a low likelihood of criminal activity. Not enough. Not enough. Never. Enough. The funny thing is, as Jen points out, no generation of parents has ever done more to effect that guarantee. “Condemnation is a trick of the enemy, not the language of the heavens. Shame is not God’s tool, so if we are slaves to it, we’re way off the beaten path. And it is harsh out there, debilitating actually. If your inner monologue is critical, endlessly degrading, it’s time to move back to grace. Then we can breathe and assess our own parenting with the same kindness we extend to others. Only our overly-critical, overly-involved generation could engineer such carefully curated childhood environments and still declare ourselves failures. We are loving, capable mothers reading the room all wrong. . . .We no longer assess our lives with any accuracy. We have lost the ability to declare a job well-done. We measure our performance against an invented standard and come up wanting, and it is destroying our joy. You know what a huge part of the problem with not letting ourselves off the hook is? We truly think that, if we remain on this self-manufactured hook, we can control the outcome. The problem is, there is no guarantee. Ever. No amount of quality parental hoop-jumping will ever ensure your kids turn out perfect. They will never be totally safe from either harm in the world or their own bad choices. And that kills us. So we try to control it with every little pinterest-approved healthy meal or bonding craft we can muster. We will get it right. Enough will ensure the future. Enough never is. It never will be. Stop trying to be awesome. Rest in the grace of knowing, really knowing, that the One who is in control has this. No promises of safety. But abundant promises of care and provision and loving arms that wrap around you in all heartaches and fears. Because this is just not real life. Isn’t that freeing? Isn’t mostly good truly good enough? Can we give ourselves grace to be mostly good? Our kids will thank us. Find Jen’s book here. Trust me, this is so worth it. I’ll keep telling you why for the next couple weeks! We interrupt this series on the book 7 to bring you . . . something else. The truth is, I don’t have time to write The Things right now. This means that 1) I also don’t have time to clean the house right now, which means 2) I have nothing to purge from my life per the 7 book rules for June. I will get back to it. I promise. And maybe, I’ll get back to cleaning the house, too. But, well, let’s not go overboard. So today, I am linking to a post I did for a friend over at her fun blog called Mrs. Disciple. She is doing a series on letters we could write to ourselves at a younger age. Oh yes, all those things we wish we had known. All those things we wish we had done differently. All those things we know God has covered with grace anyway, in spite of us. If you have been the parent of a special needs child, or you know one, you know. Those moms need special grace. They need some things I wish I had known all those years ago. I hope and pray that these small words might help just one be supplied with that encouragement. So please, click on the post above. (It’s the word “post.” Or it’s here again.) Enjoy, share, whatever. And have a great Monday.